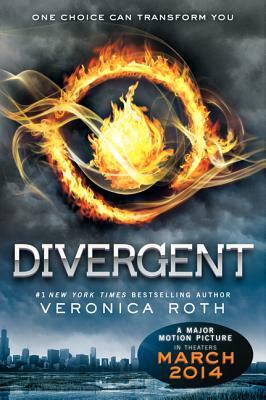 With the recent surge of fame surrounding young adult literature such as The Hunger Games and Twilight series, I'm making a prediction that the next big hit will be Veronica Roth's Divergent trilogy. The trilogy is on the fast track to popularity with the movie rights to Divergent already sold and tentatively set to hit theaters in 2015. Divergent is a great new read for young adults, it is arguably better than The Hunger Games, and flat out better than the Twilight series. Highly recommended for fans of The Hunger Games. Brace for fast paced action with light romance. Before all you team Edward and team Jacob fans go into an uproar, there is no denying that Twilight is entertaining. Twilight is what my English teacher would describe as a "fluff" book that is not very well written. It is an easy read that provides a good romance story but leaves the vampires and the werewolves almost as a subplot. The Hunger Games has a more captivating plot than Twilight, and the protagonist Katniss Everdeen is much stronger than Bella Swan. My biggest problem with the trilogy is the final book Mockingjay which lacks the fast paced plot of its predecessors. I am going to argue that Divergent and Insurgent (the second book in the trilogy) are the best written young adult novels of the group. The series is a dystopia set in Chicago in which teenagers have to choose to live in one of five factions: Candor (Honest), Abnegation (Selfess), Dauntless (Brave), Amity (Peaceful), and Erudite (Intelligent). The protagonist Beatrice "Tris" Prior is born into Abnegation and struggles throughout the novel with her decision to join the Dauntless. Roth does a great job of including a subtle romance to keep the readers entertained without the drama of a Peeta, Gale and Katniss, or Jacob, Edward and Bella love triangle. I don't want to reveal the twist in the plot at the end of Insurgent, but I will tell you that it has left me eagerly awaiting Roth's third installment in the trilogy. Harry Potter will always be my favorite series, but Divergent has restored my hope that unique and complex plot lines for young adult novels still exist. Ana Nieto is a high school student at St. Ignatius College Prep High School in Chicago.